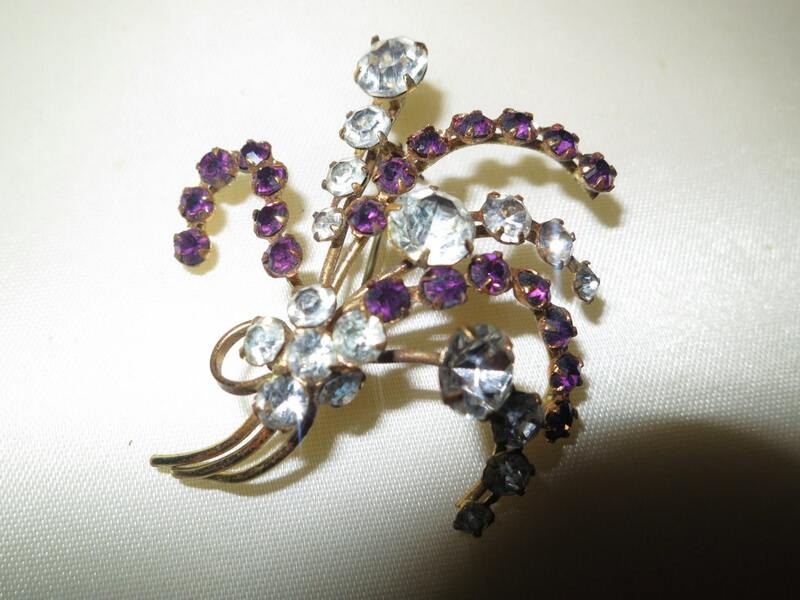 This wonderful brooch probably dates circa 1950 and has a lovely flower spray design. 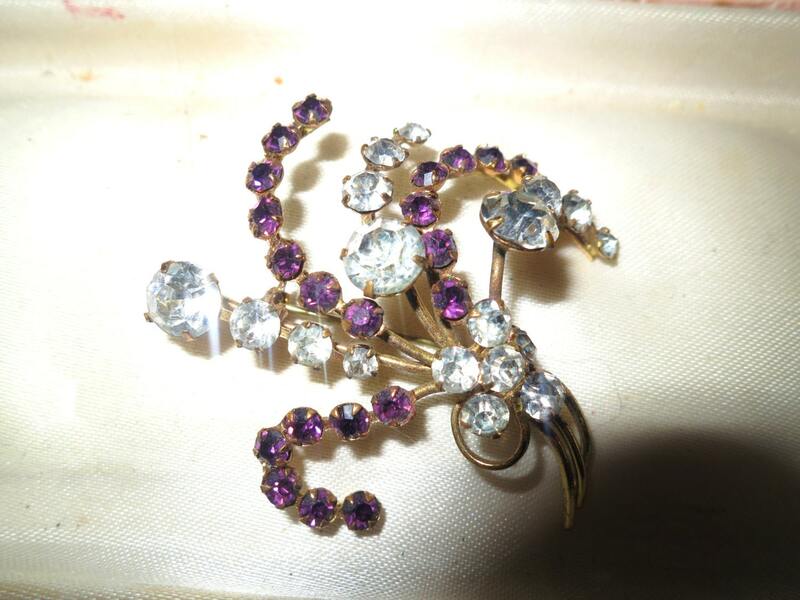 Made from base metal with a goldtone finish, it is adorned with clear and purple faceted glass rhinestones. 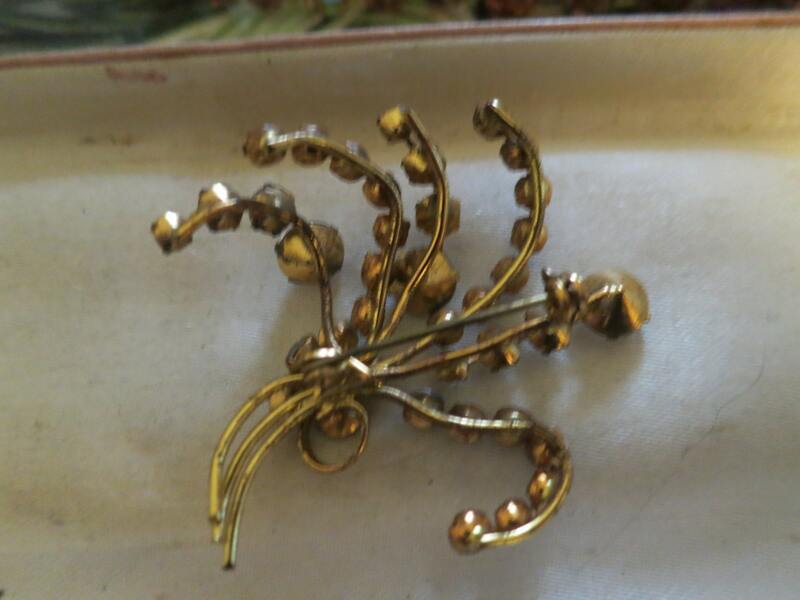 Brooch has a pin & hook fastener on the reverse and is 2 inches.